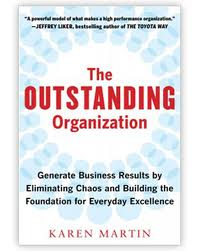 It turns out that her book The Outstanding Organization won a 2013 Shingo Research Prize. The book and its message are heavily pointed at achieving institutional clarity through reducing chaos. That is a great takeaway, but was not the best one for me. The One Lesson that I took from Karen’s presentation was that the Shewart Cycle- Plan- Do- Study- Adjust- is the authentic model for continuous improvement. First proposed by Walter Shewart, and edited, published, and improved by Deming, the Shewart cycle was recast by Japanese executives into PDCA- Plan-Do-Check-Act- and this is how many of us have learned it. In the 1980’s Deming felt that the model had been corrupted by translation difficulties. 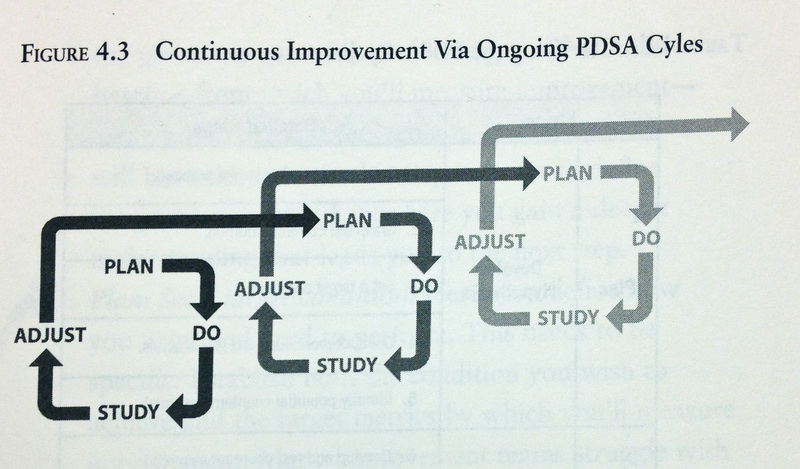 Deming recommended replacing PDCA with PDSA- which he felt was closer to Shewart’s original intent. So why am I a fan of Karen Martin’s PDSA reframing? Certainly not because of this little bit of historico-semantic revisionism? Actually, it is because unlike all of the other graphics that you can find on PDSA on google images, Karen Martin’s book has depicted this cycle as Shewart and Deming have relayed it- a continuous, ongoing process of continuous feedback- ongoing process improvement. It is not a wheel, PDSA is a continuous cycle of cycles! This is the One Lesson I Learned from Karen Martin. Ditch the PDCA wheel visual-Embrace the continuous cycle of cycles model of PDSA. Here is a whiteboard trailer for the book. And, congratulations on the Shingo Research Prize. This entry was posted on Wednesday, May 22nd, 2013 at 3:59 am and is filed under Engineering, Shop Floor. You can follow any responses to this entry through the RSS 2.0 feed. You can leave a response, or trackback from your own site.